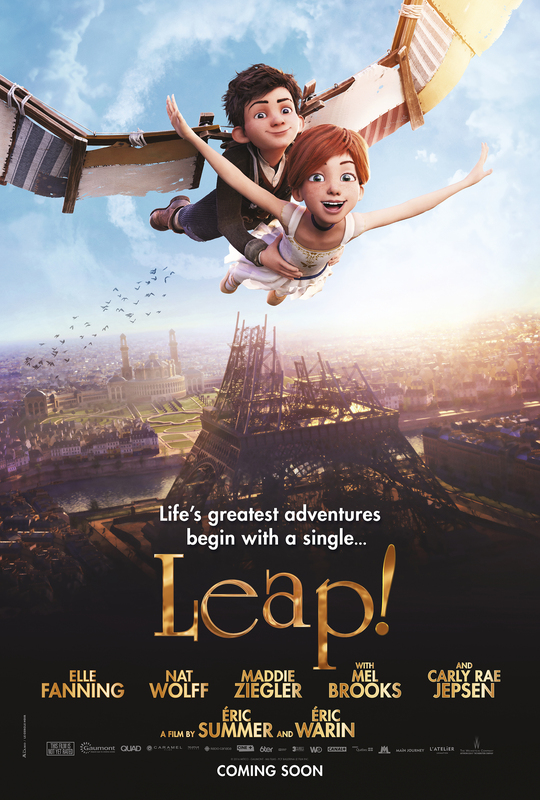 In case you missed the news over the weekend, The Weinstein Company is proud to present the official trailer and poster for the new animated film LEAP!, starring Elle Fanning, Nat Wolff, Maddie Ziegler with Mel Brooks and Carly Rae Jepsen. The film features Original Music by Sia, Demi Lovato, and Carly Rae Jepsen. Opening in theaters nationwide on April 21.